Boston, MA (June 30, 2018) – Police in Boston responded to two hit and run injury accidents in Boston Friday. One accident, which we previously reported, occurred on Columbia Street. The second accident happened around 10:00 pm on Bipsham Street. Officer Vladimir Levhichev responded to the scene. This crash involved two vehicles. Injuries were sustained in the accident but they are not believed to be life-threatening at this time. Officer Levichev looked for the hit and run suspect but they were not able to be located in the immediate aftermath of the crash. The accident remains under further investigation by the Boston Police Department. No additional details surrounding the accident have been released by police. Being injured in an accident is scary. 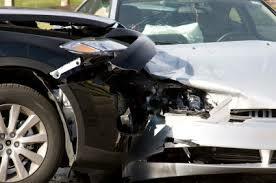 Car accidents are unexpected and seem to happen at the most inopportune times. Although one can never be truly prepared to experience an injury accident, they happen suddenly and leave you wondering how you will recover or how your family might be impacted by the residual effects of the crash. After an injury accident, there is no doubt that you are looking at a number of uncertainties about your future.